In this version “Sophisticated wolves is an own type of wolves, which spawned separately from “vanilla” wolves. You can find them in the world or make your tamed “vanilla” wolves sophisticated. 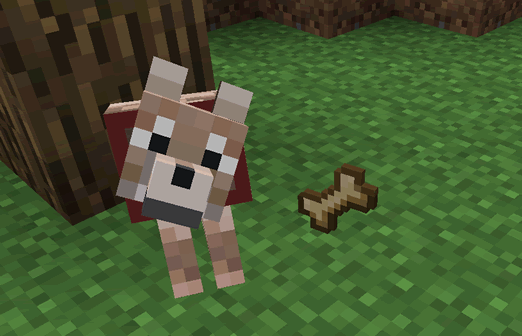 Your tamed “vanilla” wolves will become sophisticated if you give them a “dog treat”. Like in an “original” version you can used name tags to give your wolf a name, but in this version, you can used it to give name to a cat and “vanilla” wolf too.